Planning a Party? No Problem! We Deliver, Setup, and Pickup. All you do is Party! We have a wide range of fruit flavors to choose from, Take your pick! 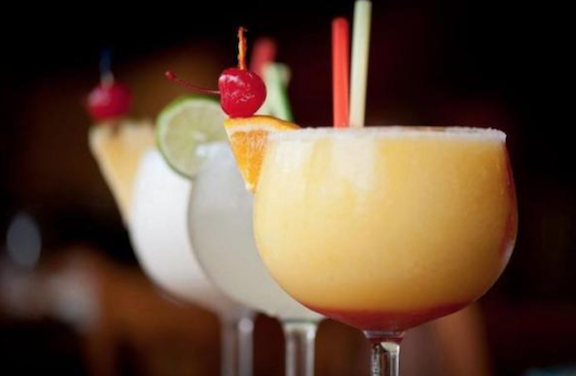 Invite the Margarita Man to your next event and see why we’re THE HIT OF THE PARTY! employee events. Our employees love the idea!" Chris B. "The Margarita Man set up two machines for a party at our home. served wine Margaritas. What a money maker for us!" Jason P.
son's high school graduation party, Everyone loved them." Mike T.
The Margarita Man is the largest and most established supplier of margarita machines in America. If you are hosting an event in Southeast Wisconsin, contact us today to reserve our commercial machines and goumet mixes.